Novelty trophies can work in so many different situations. From joke work awards ceremonies to gifts for a birthday or special occasion, you will certainly find the ideal award here. 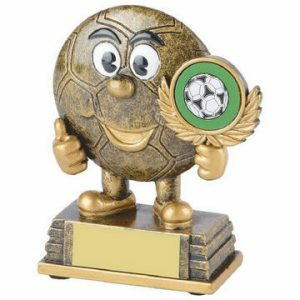 Our prices start from less than five pounds and you’ll be certain to find appealing awards with a sense of humour. 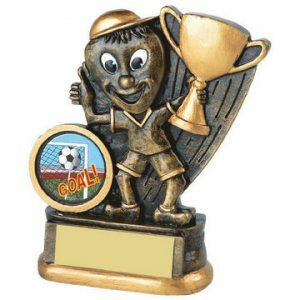 Whenever you are in search of funny award ideas, Challenge Trophies Online can help. We have extensive experience in providing dozens of ideas for awards ceremonies of all kinds. Recognise a golfer whose shots always end up in the bunkers. Acknowledge the loser with a booby prize that is a little risqué. 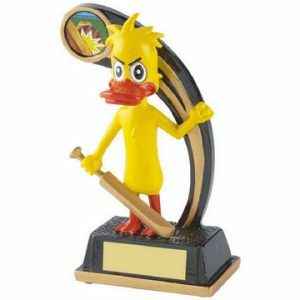 Look for wise owls, bad loser and even a duck trophy for cricket fans. 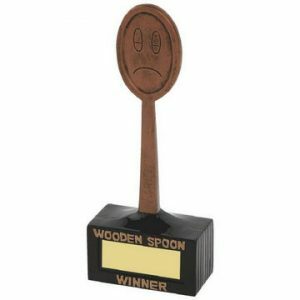 Some of our funny trophies are available in more than one size, while others come as a standard size. The appropriate details are on each order page. Every joke award can be personalised when you order. This can be done on the individual page or at the end if you are ordering several items and you want to personalise them all in one hit. 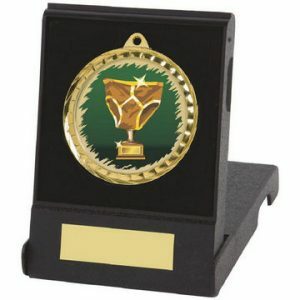 We regularly handle orders for individual joke trophies and other awards. We can also handle much bigger orders if you need to have dozens (or more) sent to you within a short period of time. Challenge Trophies Online is ready to cater for whatever you need. Engraving each award guarantees the recipient will appreciate the personal touch. Awards with a sense of humour aren’t always easy to find. 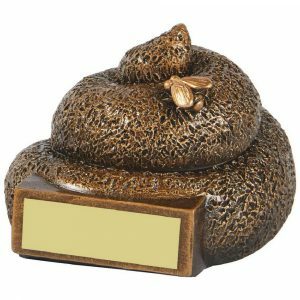 Here at Challenge Trophies Online we ensure you can choose from an impressive range of joke trophies and funny awards alongside all the rest. 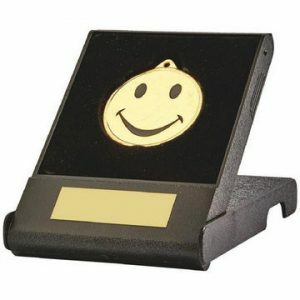 Check out the extensive range of awards that are guaranteed to bring a smile to your face. They’ll make the recipient happy too, so make your order now.